"I am really happy with this company, from the estimate,..."
"My wife and I were very satisfied with Jason's..."
In business since the 1980s, Madole Construction is a most reliable name in the foundation repair industry in Nevada. We’re here to help homeowners stabilize their foundations and make their lives easier and worry-free for years to come. Our innovative techniques and skill in a variety of materials and methods make us your best option for residential or commercial repairs. All of our inspectors and installation technicians have been thoroughly trained by the Supportworks training programs, leading the industry in engineering and expertise. No matter what your concern, you can be confident that our staff will diagnose the problem and offer the best, most cost-effective solution. And our friendly technicians will only make the process easier, giving you exactly what you want. When we leave, you can be sure that your home or business is rid of the problems that plagued it – giving you the peace of mind you deserve. Don’t sit idly by while your foundation descends into the ground. Call us today at 1-855-237-0288 or contact us online to schedule an appointment! We will evaluate the state of and circumstances around your foundation and determine the best course of action for you! We also offer Free Estimates for all projects, and we service residents and businesses in Reno, Sun Valley, Truckee, Sparks, Carson City. We permanently repair bowing or buckling walls with our foundation wall repair systems. We offer reliable concrete leveling and concrete sealing solutions. This fiber-reinforced mortar can be applied with wall anchors to repair severely damaged walls. Transform your crawlspace into dry, usable space with the CleanSpace® Crawl Space Vapor Barrier System. Our patented sump pump system is just what you need to ensure a dry below-grade space all the time! Our foundation pier systems are designed to permanently stabilize sinking foundations. We permanently stabilize sinking crawl spaces with our warrantied crawl space jack posts. Our dehumidifiers are energy-efficient, keeping your crawl space comfortable, dry, and mold-free! Stabilizes retrofit foundations from vertical settlement. Creates opportunity to lift the structure back to a level position. Free Estimates on all work needed! If you’re experiencing any of these problems, we are here for you! Please feel free to contact us with any questions you might have. Foundation settling and the resulting complications are some of the most serious problems a home or business can face. Do not try to ignore them – the consequences will catch up, costing you more time, money, and effort in the long run. Madole Construction is locally owned and operated and is dedicated to achieving total customer satisfaction. Our long history and knowledge make us the top choice to eliminate your foundation woes! We are happy to answer any and all of your questions, and we offer financing to help make foundation repair a reality. Contact us today to get started! We offer Free Estimates for all work needed. 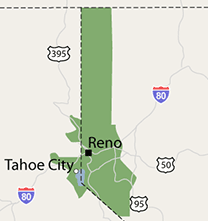 We service homeowners and business owners residing in: Sun Valley, Truckee, Sparks, Carson City, Reno, Gardnerville, Incline Village, Fernley, Dayton, South Lake Tahoe.